This is the main aluminium leg that supports the computer and attaches to the back of the casing unit onto the hinge. 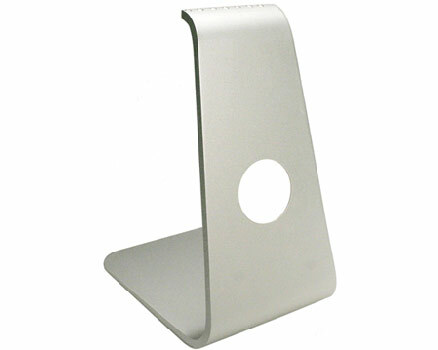 This leg is for the 24" Intel iMac (white). Note: To remove and re-attached the leg it is necessary to remove the front bezel, LCD panel and main logic board.